Most of us have had a brush with acne at some points in our lives. Some of us are lucky enough to bid farewell to it during our pubertal ages. But some of us carry the burden of acne all the way to adulthood. It is never easy to fully get rid of acne. It keeps popping up at the worst of times too! Just before a big event like a close relative’s wedding or a big date! So, here I'll tell you my best tips on how to get rid of a pimple overnight. After being sick of random breakouts, I decided to work on a good skincare regime which I can change a bit and follow through pretty much every day. I’ve tried to make sure that all the products I use are organic, because who knows what kinds of chemicals are waiting to destroy your skin in store-bought products! A highly effective and completely organic toner you can use is witch hazel. Witch hazel is a holy-grail product for many women because it is a highly potent anti-bacterial and anti-inflammatory agent despite being completely organic. Other than acne, it can also effectively reduce the ill-effects of other skin conditions like eczema, bruises, and burns. So try to spend some money and get a nice, organic toner from your favorite organic skincare brand. A toner is a great remedy for all the problems we have mentioned above. Toner removes excess oil from your skin. It helps to unclog your pores, and it might even have some antibacterial properties which can help in killing acne-causing bacteria that live in your skin. A good toner will remove the excess oil without drying your skin out. It helps to try a couple of different toners before deciding which one suits you best. I prefer applying toner as the first step before putting on makeup and as the last step when I clean my face for the day. Tea tree oil is my go-to product when it comes to acne breakouts. 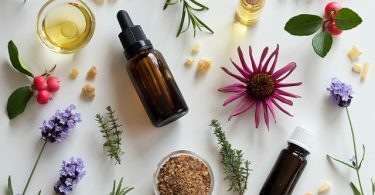 I love putting the essential oil in masks, toners, and cleansers, but it is also highly effective as a spot-treatment agent for when you have a couple of pimples bugging the living hell out of you. The reason why tea-tree oil is an excellent remedy for your blackheads is its antibacterial properties. It is highly bactericidal so the acne-causing bacteria in your skin don’t stand a chance against it. It is also useful in reducing inflammation and redness on the skin and preventing breakouts in the future. You can also add jojoba oil for killing acne faster. 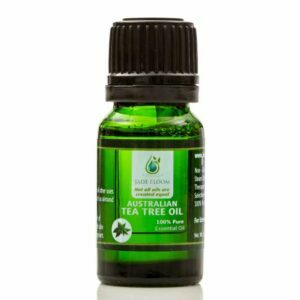 Pure-therapeutic-grade tea-tree oil is very harsh so you must always mix it in with a carrier oil (Like coconut or olive oil) before putting it on your face as spot-treatment. Salicylic acid is one of your best friends if you want to get rid of acne. Whenever I am out there buying products for my skin, be it skincare-products or makeup, I make it a point to quickly skim through the ingredients and see if I can find salicylic acid on there. Salicylic acid is effective as an antibacterial agent and it also balances the pH of your body while getting rid of the excess oil on your skin. It might also be useful in preventing acne breakouts in the future. Acne treatment with salicylic acid in its pure form must be used only when you see your skin breaking out or can feel a breakout about to kick in. Otherwise, your skin might get overly dry which can make it dull and cause more breakouts. Another remedy that worked wonders for my skin was raw, organic apple cider vinegar. I had decided to give it a shot when I saw people absolutely raving about it on blogs, forums, and generally in real life and need I say that I was not disappointed. Organic apple cider vinegar has bactericidal properties which means it can effectively kill the acne-causing bacteria in our skin and reduce the appearance of pimples and prevent breakouts. Other than that, it can balance out the pH of our skin because of its acidic pH and prevent our skin from roughening up again. It is also great for reducing inflammation and therefore shrinking the pimples we see on our face. And lastly, organic apple cider vinegar can also get rid of the excess oil on your skin which is the basis for acne breakouts in the first place. Apple cider vinegar on its own can be too harsh for your skin, so we suggest diluting it with some water beforehand. Other than that, you can also add it in homemade facemasks and toners to enhance their acne-fighting properties. Indian healing clay recently became all the rage with my friends and some say their skin getting cleared up overnight after using it. Indian healing clay can soothe your skin and reduce inflammation which reduces the appearance of pimples on your face. It also gets rid of excess oil on your face but it does so without drying your skin out at all which is why it is such a hit with so many people. You can mix Indian healing clay with water to make a mask but you should use apple cider vinegar for the best possible results. Simply add apple cider vinegar to two tablespoons of the clay powder to make a thick paste. Apply it to your face, wait for it to dry and then wash it off. 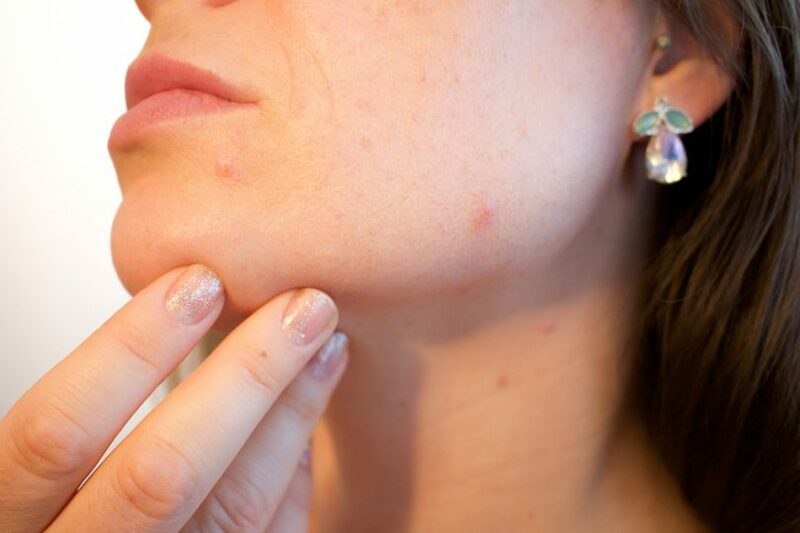 It will help you get rid of acne quicker than you think! People with oily skin who frequently get acne breakouts are sometimes obsessed with drying their skin out. Over-drying your skin can actually prove to be worse for your skin since you are not only stripping the excess oil off your skin but you are also taking away the essential oils your skin needs to function normally. Sometimes this becomes the basis for duller skin that breaks out even more and you get really confused about where you went wrong. This is where it helps to keep your skin hydrated and moisturized at all times. You should, therefore, drink lots of water every day and prevent dehydration. 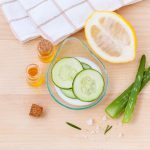 Other than that, you should use pure aloe vera gel or cucumber pulp on your skin to keep it moisturized and soft, while locking in all the essential oils firmly. Exfoliation is an amazing technique to make your skin look the best it possibly can. You basically scrub your skin to get rid of dead skin cells and other dirt and debris that lies in your pores. This helps prevent acne by unclogging your pores and revealing a new, fresh layer of skin which is a lot more oxygenated and healthy. 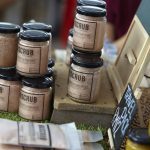 You can use a homemade sugar scrub to exfoliate your skin, or you can also use a dry brush on your skin. Licorice root extract consists of over 400 medicinal compounds. One specific compound, Glycyrrhizic acid can lower testosterone and block androgen stimulation of the sebaceous glands. The result is your skin will be less oily so your pores will be less likely to become blocked. 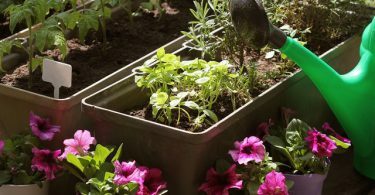 It also has soothing properties and it controls sebum production. It also balances out hormonal imbalances. One can either use it topically or drink its tea as well. You can apply organic licorice extract to your skin two to three times a week. Ice has the ultimate power to dry out a pimple and quickly reduce the swelling and redness. Massaging the affected areas with ice daily at night will help keep your pores tight and your skin soothed. It will help reduce the inflammation in your acne greatly. Emma Hanson is a mother of two, a skincare freak and an avid reader. She loves trying out new products and treatments for healthy and glowing skin. She shares her knowledge and experience by writing regularly on her blog. She is one of the co-founders of www.clearawayacne.com.